The term “the Exhibitor” shall mean any person, firm, company, or representative who shall schedule, confirm, and/or attend the show. 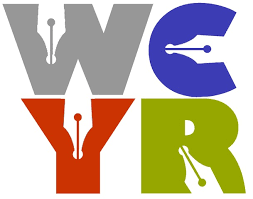 The Writers’ Community of York Region shall be referred to as “the Organizer”. The Exhibitor shall submit a completed application form outlining specific requirements and requests. The Organizer will process the application in a timely manner, contacting the Exhibitor by telephone or email with any clarifications. The Organizer shall email the Exhibitor a confirmation letter email one month prior to the show. It shall not be the responsibility of the Organizer to ensure the Exhibitor has received the confirmation letter. It shall be the responsibility of the Exhibitor to ensure they have received the Confirmation Letter. The Organizer may cancel the application or agreement at any time without giving any reason and without incurring any liability of any nature by refunding the Exhibitor for the amount paid for the table(s). Applications may be refused at the sole and absolute discretion of the Organizer without giving any reason. Spaces are non-transferable. The presentation and layout of the Exhibition will be decided by the Organizer. Exhibitors locations are not reserved but assigned in advanced. The Location of the Exhibitors Spaces will be marked prior the Exhibitors arrival. However, The Organizer reserves the right to alter and amend the layout of any published or assigned spaces or floor plans. The Organizer reserves the right to relocate an Exhibitors table when necessary. Set-up commences at 7:00 am ET and must be completed by 7:45 am ET. Exhibitors not present after the completion of setup forfeit their booking. It is the responsibility of the Exhibitor to complete set-up during these times. Receiving areas must be used by the Exhibitors to transfer all displays and merchandise into and out of the Centre. Displays shall not be moved or taken down prior to the end of the Show without the written permission of the Organizer. Take-down shall be done after 1 pm ET and no sooner. At the end of the Show the Exhibitor will remove all the property brought into the Centre and will clear the site of all unwanted materials and leave the area in a clean and tidy condition. In the event the Exhibitor fails to comply with the reasonable satisfaction of the Organizer and Facility Management, then the Organizer may carry out these tasks and charge the Exhibitor for the costs of doing so. Each table will not be moved or replaced without the approval of the event organizer. Displays are not to interfere or infringe on other Show Exhibitors. Tables are draped using a table cloth, at the expense of the Exhibitor. Only professionally printed signage, labels or banners will be approved. Exhibitor shall request electrical connection if required prior to set up and must supply their own grounded extension cord. Power shall only be used for display purposes. Should an Exhibitor misuse power for kettles, TV, heaters or microwave there will be a charge of $100.00 for misuse and power will be disconnected. The Organizer reserves the right in their absolute discretion to require the Exhibitor to remove or alter all or any part of the Exhibitors display or Exhibitors product and to refuse to allow the Exhibitor to operate equipment (including display equipment) at the exhibition if in their sole and absolute discretion such equipment is undesirable, dangerous or offensive in the context of the exhibition as a whole. If the Exhibitor refuses to comply, they shall not be permitted to remain at the show. A refund or credit will not be issued. Every booth must be open and ready for business during all hours and manned by a competent representative of the Exhibitor. Shoppers shall not be approached or solicited by the Exhibitor, but come to the table by their own volition. The use of microphones, audio equipment, flashing lights or any other device which may interfere with or annoy the public is forbidden unless prior consent by the Organizer has been given. The Exhibitor will uphold the usual standards of conduct and behaviour and follow the rules set by the Organizer during the Exhibit. Failure by the Exhibitor to abide by these terms may result in the immediate removal of the Exhibitor and items from the Show. The Exhibitor shall be liable for any loss caused to the Organizer as a result of their breach of these conditions. Full show cost will apply as refunds or credits will not be given to the Exhibitor. The Exhibitor hereby accepts liability for all acts or omissions of himself, his employees, contractors, and agents and shall indemnity the Organizer against all actions, suits, proceedings, claims, costs, demands, and expenses arising from whatsoever which may be taken or made against the Organizer or Facility as a result of the actions or in-actions of the Exhibitor and in particular, against any claim made against the Organizer by the Landlord or other owners of the Site. Each Exhibitor will assume full responsibility for their booth and neither the Organizer nor the Facility will accept any liability for theft, breakage, and/or any damage to the Exhibitors property or person. It is the responsibility of the Exhibitor to carry the appropriate permits and licenses, and collect the appropriate tax where applicable. The Organizer carries public liability insurance for the duration of the occupation of space. However, all Exhibitors are strongly advised to provide their own public liability insurance. Proof of such insurance should be provided prior the show. If accepted as a vendor for The Bookshelf you will be sent payment information. All payments are to be made through PayPal, which is a 3rd party payment processing company. You do not need to have a PayPal account to make payment for this event. Payment must be made in a timely fashion. Non receipt of payment will result in the loss of your booking. If you wish to pay by cheque, please email the vendor coordinator for details. In the event that an Exhibitor wishes to cancel their booking after acceptance of the booking by the Organizer then the Organizer reserve the right (but without being obliged to do so and without prejudice to any other right or remedy available to the Organizer) to apply the following cancellation charges and to reallocate such space. In addition there is a $5.00 cancellation fee once the Exhibitors booking has been accepted and processed. Refunds will be returned to the booking party via email money transfer. Should an Exhibitor fail to arrive for set-up, the Organizer may, at their discretion, reassign the space to another vendor. No-shows will not be accepted for the future bookings. No booking fee refund will be issued to no-shows. Shows are not prorated and are non-transferable. If the Exhibitor wishes to cancel, then written notice of such wish must be forwarded to and received by the Organizer. Notwithstanding, the Organizer may resell or reallocate the cancelled space after payment of the cancellation charges. The Organizer shall be under no obligation to reimburse all or any part of such cancellation charge.